Last month, SAS launched our new no-cost software for higher education teaching, learning and research – SAS® University Edition. Available to students, professors, academic researchers and lifelong learners, SAS University Edition provides local access to BASE SAS®, SAS/STAT® software, SAS® Studio, SAS/IML® software and SAS/ACCESS® Interface to PC Files. 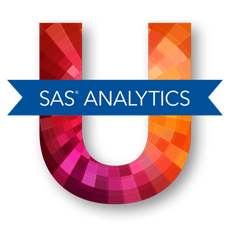 SAS University Edition is a part of the broader SAS Analytics U initiative launched by SAS earlier this year to support the next generation of analytics leaders. 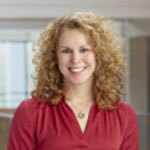 Why SAS Analytics U? And why now? Numerous studies and statistics point to the fact that in just a few short years the need for people with analytics skills could significantly outpace supply. In fact, a McKinsey Global Institute study projects that by 2018 the U.S. alone may face a 50-60 percent gap between supply and demand for talent with advanced analytics training. Addressing this skills gap head-on, SAS CEO Jim Goodnight announced a new comprehensive academic initiative, SAS Analytics U, during SAS® Global Forum in March. This broad higher education initiatives includes free SAS software, university partnerships and engaging user communities to support the next generation of SAS users. SAS Analytics U also allows users to tap into a wide array of teaching, learning and research resources, and stay connected to SAS. The community fosters interaction with fellow SAS analytics users and provides access to data sets, whitepapers and getting started videos. Haven’t downloaded SAS University Edition yet? What are you waiting for?! Learn more and download the software now. Following your download, head over to the SAS Analytics U community for more resources and to connect with fellow SAS analytics users. You can also stay up to date with future SAS Analytics U happenings via our Facebook page, LinkedIn group and on Twitter using #SASAnalyticsU. We look forward to connecting you with more software options, resources and support in the future! I am glad to see this revival of SAS Learning Edition! However, targeting only university students might be a little too late. Because high school graduates already know (and 18 year olds know everything!) what they are going to learn and what courses to take at the university. What about high schoolers? I think that is where demand is born. If this software is offered to a wider audience than just university students than its name (or at least offering description) should reflect that. Otherwise, if high school students come across this offer, it will not click with them as something relevant to them. Hi Leonid, thanks for your comment. SAS University Edition is available to all types of students and learners, including high school students. The software is available to anyone in academia, as well as adult learners looking to gain additional skills. Thank you for the feedback regarding the name, I will be sure to pass that along. I downloaded SAS University Edition a couple of weeks ago and I found it to be a great tool for practicing SAS code at home for free. The installation steps are straight forward. I really appreciate this free software from SAS Institute.